‘L’enfer, c’est les autres’ – the play that made Jean-Paul Sartre’s philosophy famous. Set in a windowless, inescapable room, three completely antithetical characters painfully discover that ‘hell is other people’. 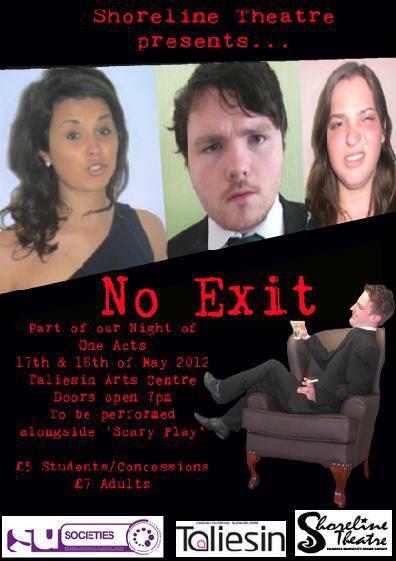 Performed in the Taliesin Arts Centre as a one-act alongside Scary Play. Directed by Matt Ebbs and Fanny Messika.